Yellow Wagtail added to Samuel Levy's Britain 2019 year list (BOU), 18 Apr 2019. List total is 150. Birders in Britain and Ireland are surely all aware that a new bird distribution atlas has been in the planning for some time. Well, the planning is over and the fieldwork started on 1 November 2007 and will carry on until summer 2011. Birders are now needed to help with both timed tetrad visits or simply listing of birds in given 10-km squares. The aim of the atlas project is to map the distribution and relative abundance of every species in Britain and Ireland in both the winter and breeding season. Obviously, BUBO listers include many of the keenest and most dedicated field ornithologists in the country. 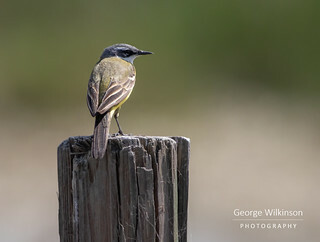 Just in case anyone out there wasn't already planning to get involved, please visit www.birdatlas.net to get more details on this exciting project. This new website allows you to select tetrads and submit records far more easily than during past atlas surveys, and will provide a fascinating record of the way in which the project is progressing. The results of previous atlas projects, in 1968-72 (breeding), 1981-84 (winter) and 1989-1991 (breeding) have resulted in iconic publications, and the results of the 2007-11 are eagerly awaited. 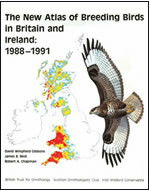 Many species are suspected to have changed in status dramatically over the last few decades, but Bird Atlas 2007-11 will be the new definitive work to describe the status of the avifauna of Britain and Ireland.